We have a trash problem. A big one. 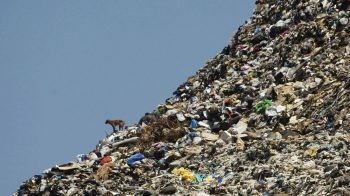 Humans all over the world have thrown away so much stuff, that we are running out of places to put it. There are no places you can go anymore—from Antarctica to the top of Mount Everest, and even deep into the ocean, thousands of miles from land and thousands of feet deep—where you won’t find tons of our trash. In essence, we’ve totally trashed the place. We’ve pooped where we eat. If we were our own houseguest, we’d throw ourselves out! If you’re an average American, you produce 4.4. pounds of trash every single day. In a nation of nearly 324 million people, that amounts to more than 700,000 tons of garbage produced every day—enough to fill around 60,000 garbage trucks. That is a shocking amount of waste. And if that wasn’t bad enough, “first world” nations like the United States have started exporting our trash to developing countries for disposal, so we don’t have to see or deal with it. We really, really have to do something about our catastrophic levels of waste. Now. 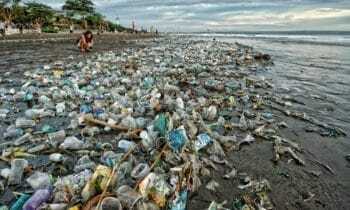 Beach trash is common in every country. The best way to reduce our trash problem is to simply consume less. Much of what we buy in the developed world we don’t really need. And since we are currently using up the resources that our grandchildren will need to live, it only makes sense that we drastically cut back on what we buy today. The second-best approach to reducing trash is to reuse, repurpose, upcycle, give away or Freecycle things when they can no longer serve their original purpose. Anything that we can give a second or third life to will reduce the burden of trash upon the globe. Lastly, we can recycle many things and use their raw materials in new ways. Glass, many plastics, aluminum cans, cardboard, paper, and even electronics can be taken apart, melted down and made into new things. Recycling is really a last resort though: Even when things do get recycled, in the vast majority of cases, recycling only kicks the can down the road one generation. At some point that item will still be trash that can’t or won’t (because it costs too much) be recycled again. Here are some ways that we can avoid creating trash in the first place. If you pay for trash collection, this will potentially save you a ton of money, too. 1. Do a 30-day spend-fast to learn where you are making unnecessary purchases. 2. Don’t buy beverages in cans or single serving bottles. For health’s sake, don’t buy soda or juice at all! 4. Carry a reusable water bottle. This could be as simple as using a mason jar. 5. Take a reusable travel mug to the coffee shop, or make your coffee at home. Use a French press or coffee maker and avoid those single-serving packages used in Keurig-like machines. Try a reusable coffee filter in your coffee maker, too! 6. Take your own reusable containers to takeout restaurants. If you hand over the containers when you order and ask nicely, most restaurants will oblige you. Eat out less in general; most of it is full of GMOs, vegetable oils, MSG and other junk anyway. 7. Take your lunch to school or work and avoid takeout. Use a lunchbox and reusable snack bags. Not only is this healthier and cheaper, but you get to keep more of your lunchbreak for yourself! 8. Buy your milk in returnable, reusable glass bottles. In many stores, you’ll even get some money back for doing so! 9. Buy your honey, pickled veggies, maple syrup, nut butters, and other wet foods in jars you can reuse or return to the merchant. 10. Return egg and berry cartons to the vendors at the farmers’ market for reuse. 12. Shop for food only from the bulk bins and from farms, produce stands or the farmer’s market, where food is unpackaged and fresh. Start a buying club and join a CSA to reduce trash even further and make your food very affordable. 13. Use your own reusable bags for both your produce and bulk items, too. 15. When you eat out, politely ask your server to take away any paper or plastic napkins, placemats, straws, cups and single-serving containers, if you can. Be sure to explain why and leave a nice tip for their trouble! Even our favorite vacation spots and swimming holes are full of trash these days. 16. Don’t buy anything that comes in wasteful single-serving packages, like candy, gum, granola bars, popsicles, etc. 17. Cancel your magazine and newspaper subscriptions and read them online or at the library. 18. Buy e-books instead of paper books, unless it is a reference book you will need if the power goes out. Organize your e-books for easy browsing and searching with this free software. Use the library for books you don’t want or need to own. 19. Do your best to stop your junk mail. 20. Use both sides of a piece of paper before recycling it or making it into upcycled crafts. 21. Use old clothes for rags for cleaning around the house, instead of paper towels. 22. Use cloth napkins and hand towels in your kitchen. 23. Don’t use throwaway plastic razors and blade cartridges. Consider an electric razor or waxing with cloth if you are a woman, or using an electric razor or a straight razor if you are a man. 24. Use non-disposable feminine-hygiene products such as a Diva Cup or Moon Cloth. This is not only much better for the environment, it’s much, much healthier for you too. 25. Consider using family cloth instead of toilet paper. Really! It’s softer, healthier and far less messy than you would think. 26. Make your own non-toxic and effective toothpaste, deodorant, shampoo and even makeup! 27. Use cloth diapers. They are super cute, frugal and much better for your baby’s health, too. 28. Carry a cloth handkerchief or napkin for everything from blowing your nose to drying your hands to wrapping up a purchased doughnut. This massive dump in Lebanon has partially collapsed into the Mediterranean Sea several times. 29. Make your own non-toxic household cleaners to avoid all the chemicals and throwaway plastic bottles. Put your homemade cleaners in a recycled glass vinegar bottle with a repurposed spray nozzle. 30. Use the plastic bags that other people’s newspapers are delivered in to pick up dog poop. 31. Keep a worm bin or compost pile to compost all your food scraps, leftovers, floor sweepings, and more. 32. Don’t buy anything disposable. Look for durable goods instead or borrow what you need. Paying a little more up front often means things will last much longer for you. 33. Avoid buying anything in packaging (and count the money you save because that means pretty much buying nothing unless it’s second hand). You can also borrow things like tools, strollers and gardening equipment on Neighborgoods. 34. Give your old clothes to charities or others who can use them. 36. Skip buying plastic garbage bags and simply put your trash into the can itself. This will require you to wash the can from time to time, but if you are composting well, it won’t get too messy. 37. Make a game with your housemates or children to see just how little trash you can create, and how small you can make your garbage bag every week. Reducing our waste footprint can be a lot of fun! 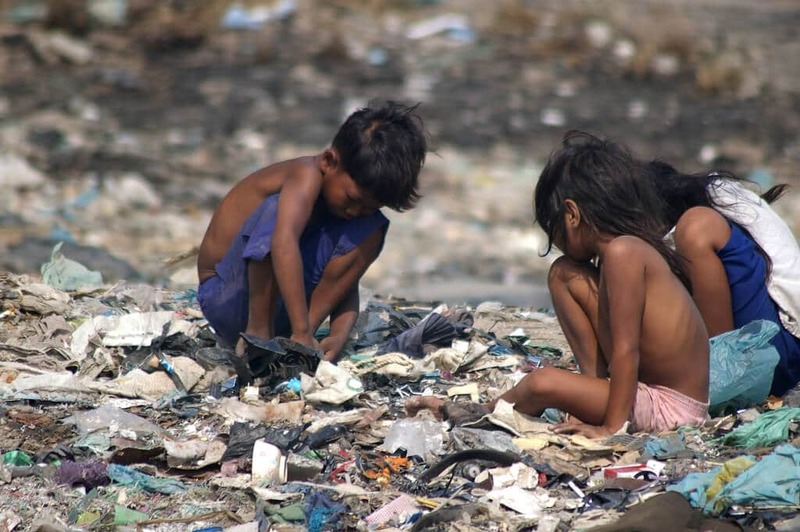 This short video demonstrates the TRUE cost of our throw-away society. This is the side of consumerism you almost never see because then you might—gasp—buy less! While we will always need to purchase things and there is nothing wrong with a few special luxuries now and then, as you can see below, we’ve gone way beyond acceptable limits and into pure gluttony, at grave cost to future generations. How do you reduce trash in your home? Thanks for this advice for ways to reduce trash. I’m glad that you mentioned that Give your old clothes to charities or others who can use them and skip buying plastic garbage bags and simply put your trash into the can itself. I really liked how well you explained about to reduce the trash in your home. Definitely, The best way to reduce our trash problem is to simply consume less. Thank you for the helpful information. Hope to read more articles from you. Very helpful, It helped me in the preparation of my exam. What if you are poor and can’t afford to purchase these items and your only choice in a grocery store does not offer recycling/returning of bottles (store is 20 miles away)? Your tap water is contaminated, local Health Department doesn’t pay to have your water tested and Universities only test a few things, no pesticides or herbicides and only a few metals. Thanks for the info on stopping junk mail- giving it a try. BTW- there’s almost NO glass recycling anymore. I’ve been contacting companies that I buy from asking them to change to the more recyclable plastic. SNAPPLE recently changed. Great information. May I also suggest eliminating unnecessary online shopping? The packaging for shipment really adds up and wouldn’t even exist if you just purchased it from the store. For the majority of the world, this is very doable. Thanks! exactly! some serious change needs to be done in our buying habits. This online shopping is relatively a new concept(say 5 -or 10yrs max) in many of the developing nations but it has already created tons of carton waste, bubble wraps. cringe! I’m so blessed to have come across your website. You are a very wise woman! Thank you! I learn a lot about reduce, reuse, and recycle. I’m with you all the way except the point where you imply GMOs are bad. Please inform yourself on the science behind GMOs — the notion that they’re harmful is completely unfounded, and does more harm than good. GMOs have the potential to help millions of people, but unfounded kneejerk fears threaten to impede that. It’s fine to be cautious, but please don’t feed into the reactionary hysteria without informing yourself first. Actually, I am quite informed and it is far from unfounded that GMOs are problematic, particularly the Monsanto-patented GMOs currently in use on industrial farms around the world. I have articles here, here, here and here on the subject. Have you seen the boys and girls getting breasts way early? Scientific research has found that is from GMO being used to produce our foods. I have not seen evidence pointing to GMOs as the cause of early puberty, though they are strongly implicated in cancer and various digestive issues. However, the high quantity of xenoestrogens (chemicals that mimic estrogen in the body) in our environment is considered a major factor in endocrine disruption and early puberty in humans and animals. Sources of excess estrogen or xenoestrogen in our daily lives include dairy products, soy products, plastic items that contain BPA and phthalates (often used to contain food and water), cleaning products, perfumes and fragrances, cosmetics and personal care products. Avoiding GMOs is a good idea for it’s own health reasons, but if you want to avoid excess hormones and the health issues that come with them, watch your exposure to xenoestrogens, too. All of these 37 ways will be very effective to reduce home trash. Actually, being self-active and aware of cleaning your home garbage regularly it’s possible to stay clean. Brilliant Tips!! I came across your blog, and there I find information about 37 ways to reduce trash in your home. Thanks for sharing. I love posts like these, thank-you. I like to think I’m pretty much on board but am always open to suggestions like some of those mentioned in your post. I have a few things I do in my day to day that I’d like to share; in hot weather use the ‘drip dry’ function on the washing machine (uses less water AND electricity and then generally clothes don’t even need ironing- bonus! ), if you truly MUST use straws use the non breakable or stainless steel ones, use reusable fruit and veg bags if you need to buy your fresh stuff at the shops ( it’s also easier to wash and store your fresh f&v), upcycle books on ‘Book Crossing’, re acquaint yourself with a needle and thread, get a bike- even if the thought of riding everywhere is out of the question try riding for the small trips only, or for 15 minute trips only- figure out what works for you! and watch your petrol budget plummet. Lead by positive example, show others that living this way is not abou8t sacrifice of hard work but reward and satisfaction….if all else fails mention the cash savings ! Great article! I looked it up today because I am decluttering and have some things to give away/recycle and I am looking for insight on what items still have value to people on free cycle and free category on craigslist when not working and how to dispose of big stuff etc. I just hate throwing big stuff away since my family does serious renovation work on investment properties and the waste involved is guilt-inducing. For example, I have two tall oscillating fans and their panels turn on but the blades won’t go round. Is there an online resource that you know of that describes how to properly dispose of various big things? You can call the Bureau of Sanitation in most cities for a large item pickup, but unless it is electronic waste, things like fans, furniture, etc. that cannot be reused will end up in the landfill. You never know what someone will want on Freecycle though! the fans’ blades are now being recycled for pinterest yard ornament projects. People make dragonflies out of them and etc. Great post. I must say that I do purchase bottled water on occasion – I keep a cooler in my car during the summer months and give out to the homeless when I see them on the streets. I always worry that they are getting dehydrated and do not have a good source of water. Other than that, I try to stay away from plastic anything if possible. When not possible, I make sure it is recyclable. If it is not, I will not buy. I made that pact with myself some time ago. Great post! It’s true the amount of waste we dispense as humans is horrible. Every little Eco-conscious decision to help is a step in the right direction. Thank you for more tips on how I can incorporate this more in my daily home life. I have been using reusable paper towels in the kitchen now for almost a year. I have to admit when I started it was a little bit of a struggle. Now the whole family is comfortable and it is nice to know we are conserving. Also reusing your water bottle is huge! 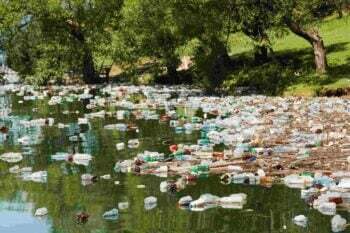 Once you find that reusable water bottle you like, you won’t want to go back. Thanks again for the good info! It is definitely time to simplify, downsize and reduce consumption. That old favorite pastime “Shop til you drop” is dead! I too am tyying to reduce the amount of trash in our home. We are doing a lot of these but there are other changes that we are still working toward. These excellent tips are going up on our household bulletin board. They nake a great reference list! Thank you for sharing these! I love this post! I do a lot of these things already (we buy used (for everything not consumable, like food) when at all possible.I love my Diva Cup, which works well especially combined with a clean rag for heavier days. I really want to know! Thanks! I LOVE vintage hankies. I usually carry one when it is a special occasion where I might cry (weddings) or want to dab sweat from my forehead (dancing at a wedding). But this post inspired me to carry one all the time. So simple! Why didn’t I think of it before? Hi, I just found your website (thankyourbody.com) mentioned it and… I’m intrigued by parts of this list. I already use reusable menstrual napkins (which I would have made but it purchasing it off etsy and making it myself came out to a 5$ difference) and kitchen napkins (which I got from work for free since they were throwing out a slew of white washcloths!) but I”m having a hard time understand the family cloths. Can someone metaphorically hold my hand and walk me through this? Also, I feel more green having read this list. I already do most of this but,.. I’d like to add one thing. We acquired several surge protectors (thrift stores, retail and friends) and, with the exception of the large appliances, put everything that uses electricity on them. Before we leave the house we just go through turning everything off. Come home, turn on the ones you’re going to use… it initially started with one surge protector for chargers then morphed into a surge protector at every other outlet in the apartment so we can just turn off everything. Make sure you don’t overload the outlet though, that’s why we only have *one* for every *two* outlets. I hear you about things not degrading properly in landfills. In fact it’s worse than that: because of the anaerobic environment, any decomposition creates methane, which is a much more powerful greenhouse gas than carbon dioxide. After participating in Zero Waste Week (which happens every September), we’ve started to get a handle on our trash. Many of your suggestions are about avoiding plastic, and I’ve seen that happen to us also: in trying to go plastic-free (I said _trying_) we reduced our trash further. And recently my town started curbside pickup of compostable materials, including stuff my worms can’t handle: hurray! We still have about 5 gallons of trash a week, but that’s about a third of what it used to be. I didn’t look back with the cloth napkins. They’re small and easily go in with a load of laundry I’m doing anyway with no real significance in the size of the load. I live in Colorado where water is a limited resource. I’ve often thought of moving to cloth napkins for the home (I do use them for the kids lunch box), but can’t decide which is the lesser evil – using more water to do more laundry or killing trees for the napkins. So far I’ve decided to stick with the paper napkins because at least they degrade in the landfills. I’d love to hear another person’s point of view on this. Cloth napkins are pretty small, and throwing them in the wash with other things shouldn’t be much of a burden. One thing that many people don’t know is that making paper from trees is an extremely water intensive process. Vast quantities of fresh water are used at almost every stage of making paper (even recycled paper), making paper a far more water-wasting process than doing the laundry. In fact, it takes more than 3 gallons of water to make just one sheet of copy paper. This is also why cloth diapers are far more water efficient than disposables, even though they have to be washed, too.